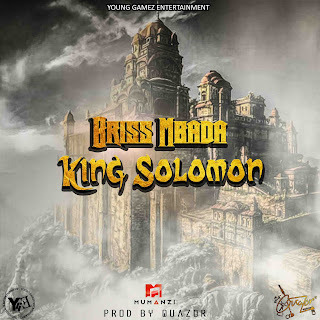 After a whole year of no releases, Briss Mbada returns with King Solomon, produced by Quazor for Young Gamez Entertainment. After a whole year of zero releases, Briss Mbada returns with King Solomon, produced by Quazor for Young Gamez Entertainment. King Solomon is the first song that he is releasing under his new management at Young Gamez Entertainment (which Schingy has also joined). The track starts off with some annoying ramblings of an undisclosed female who also comes back at the end of the track, smh. Briss wants to be like King Solomon, not for the wisdom but the amount of females that he had at his disposal, with his 700 wives and 300 concubines. His expresses the various shades (read complexions) and sizes of the women that he desires, including some well-known female radio personalities. Briss has stated that he is feeling at home at his new record label and has a vision to fully establish his brand and break the boarders of Zimbabwe. King Solomon is the debut single off his yet-to-be-titled EP. He already has a few collaborations underway, specifically one with labelmate Scrip Mula.